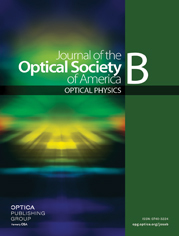 Results for the interaction of a 532 nm pulsed laser beam with individual pendant rhodamine 6G dye droplets of a large-size parameter, x≈7300, are reported. By varying dye concentration and pumping energy, typical fluorescence bands detected in such cases are obtained, along with a narrow, instantly, or gradually blueshifted band assigned to the lasing effect at the droplet surface. The maximum blueshift value of the lasing peak wavelength is associated with the maximum of the dye fluorescence gain curve when self-absorption effects are not present. Lasing peak position is not further influenced by pumping energy or droplet diameter decrease after lasing reaches the gain curve peak wavelength.